Ecommerce business is now the common and trendy part of modern business. The way of shopping has been changed for years, and the new generation is going to be dependent on this. In European countries, ecommerce business has been turned into a severe challenge to their stores and supermarkets. Can you guess why? No one wish to face any hassle in shopping and the ecommerce websites are giving enough luxury for their customers. They are offering free shipping in almost every time with a limited condition. Customers are taking the opportunities and doing so. Germany is a country which gained more than 85 million euros in B2B ecommerce business. It has changed to 93 million just after one year in 2018. We researched on ecommerce industry of Germany and providing you with some valuable information about the top 11 ecommerce companies. 1 Let’s See How We Put Them In The List of "Best Ecommerce in Germany"
Let’s See How We Put Them In The List of "Best Ecommerce in Germany"
Amazon is an ideal example of ecommerce business worldwide. In Germany, it has spread its kingdom in the retail industry since years. In just 2017, they made revenue of more than 8816.7 million euros. Can you imagine this? Yeah, it’s true. Amazon has launched its business in European countries with a long-term strategy. They have turned themselves as the best ecommerce site in Germany in just a few years. Amazon improved its website as an easy to use tool for the customers. Their massive collection of products, hassle-free shipping help to spread out its business so fast. Their affiliate commission based business is also an essential fact in running the business smoothly. Do you have any idea about the linked affiliate marketers with Amazon? They are merely large in number. They provide the maximum sales for the retailer. Actually, It’s a great way to deal with customers. You can earn handsome money by doing this. In Germany, Amazon hasn’t gained much revenue from fashion and luxury goods. Its market share is stuck at only 1% on these products. Though it’s not good enough, their grocery sales are far better from the other retailers. They have more than a hundred million products for their customers in Germany. They recruited 13500 permanent employees and nine fulfillment centers. Amazon also has three development and customer-service centers to provide the best service for their customers. Otto is one of the world’s largest ecommerce companies after Amazon based in Germany. It provides service in more than 20 countries around the world. Otto gained 2724 million revenues in 2017 and 2956 million in 2018. Impressive, isn’t it? Since 1995, their growth has become remarkable than before almost every year. They are selling more than 2 million products from about 5000 brands. It has been turned into the leader of fashion and lifestyle market including the areas of furniture and home furnishing. Otto keeps the payment gateway system comfortable for the users. Customers can pay through VISA card, MasterCard, American Express and more international gateways to purchase from Otto. Like Amazon, Otto also offers the affiliate program for the people who want to earn some more like a third party partner. Go through their blog page and affiliate page to know further information. Zalando SE is a Berlin-based international online retailer founded in 2008. In just 2017, this giant ecommerce retailer showed its revenues as 4.49 billion euros. They expect 20-25% growth in the year 2018. It owns the cross-platform online store that sells fashion, shoes and beauty products. They have almost all the world-class brands like Bugatti, Adidas, Tomaris, Puma, Fossil and more in their store. Zalando is doing business in fifteen European countries besides Germany. To continue its growth, Zalando plans to invest in digital experience, convenience, and other emerging businesses. They are planning to expand its business in new beauty category products. They are preparing to enter two European markets to start their new marketing strategy. As a part of their business plan, their new companies will create about 2000 employment this year in Berlin. The customer support and shipping ways are both great from most of the customer reviews. They provide free shipping in standard shipping policy. You can also choose Express delivery for 5.90 euros. Zalando also offers an affiliate program to be a partner in the business. If you are interested, contact with their affiliate support system. Notebooksbilliger is an online retailer company for hardware and software products founded in 1989. They sell laptops, smartphones, tablets, PCs and other consumer electronics. It is also regarded as the most popular online shop in Germany for computers and consumer electronics. They sell the products at various prices varies from brand to brand and quality. You may check the products individually by the customer experiences. They also offer different discounts on different occasions. Notebooksbilliger has a massive collection of informative blogs on electronic products. You can quickly know the details with features and functionalities from their posts. They have a forum page to get conversations from customers. Customers put their comments about products and queries. We got a mixed opinion on products from different customers. You may contact their customer support before submitting your order. Media Markt is another giant multinational online retail company founded in 1979. They sell consumer electronics throughout Europe. It is regarded as the largest retailer of consumer electronics in Europe and also second in the world after Best Buy. Media Markt is a chain of stores that sells over 200 brands in more than 800 stores. It has gained its market value for its vast collection of products and prices. It has been a favorite online shopping store in Germany, Spain, Italy, Russia, and other European countries. They spend a lot of penny on their attention-grabbing advertising ideas. That’s why the audiences have made their brand and logo a popular choice within a short time. They have a complete package of skilled and dedicated employees. They offer a great opportunity to the young trainees and keep them as the permanent stuff after completing their vocational training. It is one of the reasons to be a ruler in ecommerce industry. High level of practice orientation has made their customer support system far different from others. You will get the best service from their organized and skilled team. Lidl is an online supermarket company based in Neckarsulm, Germany. It is one of the global discount grocery shops that operate over 10000 stores in Europe and the United States. Besides Europe and the USA, they have multiple stores present in Switzerland and Serbia. They provide different food product offers the whole month. You can visit their FAQs page to know the details about product description, careers, shipping way and more. Lidl has a great customer service team to provide the best possible support for their customers. They have started selling their other accessories besides food products from the January 2019. They are also planning to set up new stores in different corners as a part of their business plan. Recently they reveal the plan for Shoebury. Bonprix is an online retailer company sells fashion and accessories for men, women, and kids founded in 1986. It’s parent organization Otto Group is one of the largest ecommerce company in the world. It is running for years and growing every year. It has been running its business successfully in Germany as well as in Italy and France. Sales percentage is increasing to 10-20% in the Netherlands, Austria, and Switzerland. The main reasons behind its success are consistent digitization and internationalization business model. They have the most attractive fashion accessories in their stores. Conrad is a European retailer company that sells electronic products based in Hirschau, Germany. It is one of the oldest retailer companies in the world founded in 1923. They have branch offices in some other countries like France, Slovakia, Sweden, Italy and more. It has a great collection of electronic products including TVs, hard disks, cameras, laptops, LEDs, cable, batteries, and components. It is regarded as a trusted business partner by thousands of customer reviews. They have all the international brands like Voltcraft, Fluke, Reely, Tektronix, Bosch and more in their store. Besides selling products, they provide 3D-Printing services, PCB services, Cable configuration and so on. Conrad delivers their products to more than 210 countries across the globe. You can use either DHL, UPS or DPD for processing payment. If you have any queries, contact their support system or visit FAQs page to know details. You will also know about their free affiliate program to earn from selling their products. They have a fast and affordable delivery system for their customer. Customer service is also excellent. Another ecommerce company from Germany is known as Alternate founded in 1992. It sells various electronic products like PCs, smartphones, TVs, cameras, notebooks and more. They are doing business for over 20 years. It sells products of world-class brands like Apple, ASUS, Intel, Microsoft, Canon, Samsung and so on. It has been turned as one of the leading companies in the electronics industry. In their FAQ page, the query topic is sectionized with different categories. If it’s not enough, contact their support system. Alternate offers their affiliate program if you have a website with many visitors and a registered office in Germany with the valid imprint. The more you sell their products, the more you can earn from the sell. Tchibo is one of Germany’s largest ecommerce store based in Hamburg, Germany. It’s mainly known as a coffee retailer company. But later they include clothing, household items, and electronic accessories. “Every week a new world”- is their business slogan. Pretty innovative, right? Their coffee is sold in supermarkets of the USA, Canada, Saudi Arabia, Slovakia, Romania, Turkey, Jordan, and more. Tchibo has more than 700 shops in Germany and 300 more outside the country. They have a large number of employees like 12500. They provide some offers in shipping their products. If you order more than 20 euros, you will be eligible for free shipping. Tchibo publishes blogs on their website to provide the updated data to their customers. Another interesting fact is their affiliate program. You can earn 8% commission on the net basket value for each completed order. Here you come to know a different online retailer company, Thomann that deals with musical instruments, lighting, and pro-audio equipment. It was founded in 1954 and based in Burgebrach, Germany. Thomann provides very crystal and quality products to their customers worldwide. It is regarded as Europe’s biggest music store that sells almost every kind of instruments and software related to the musical world. You will find your favorite instruments of high to low budget at a reasonable price. They maintain the policy of 30-Day money-back guarantee. You will get 3-year Thomann warranty after purchasing from their store. Do you know another interesting thing about Thomann? It provides servicing also. Their particular department takes care about servicing and helps you to choose the best product for yourself. If you visit their store, you will get the option of new products. They have kept more than 1200 new products to their inventory. Go through to get the hottest collection of new arrivals. ​ German online market is a much favorite business way since years. Actually, the German retail market size is something more than you can think. 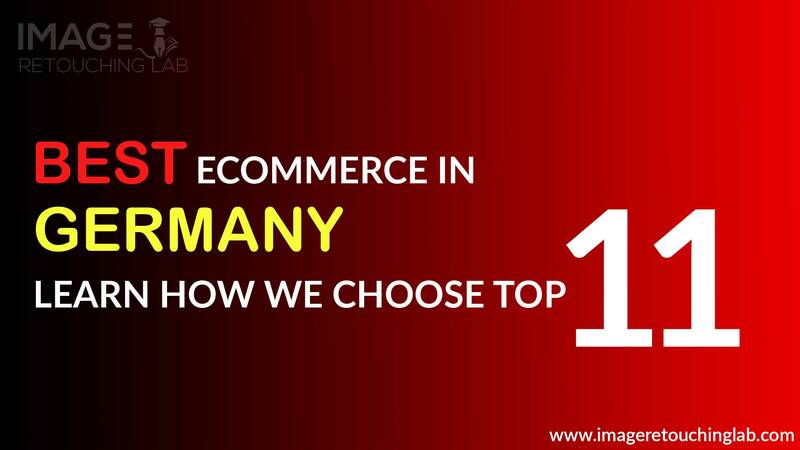 We just discovered and informed you about the top 11 ecommerce websites in Germany. Some are famous for clothing, foods, electronics or musical instruments. From the above information, you can choose the best ecommerce site in Germany. Do you have your own strategy to find out some other ecommerce giants in Germany? Share your thoughts with us so that audiences can get some better information. Learn the Secrets About Marketing Strategies For Ecommerce.